We’d love your help. 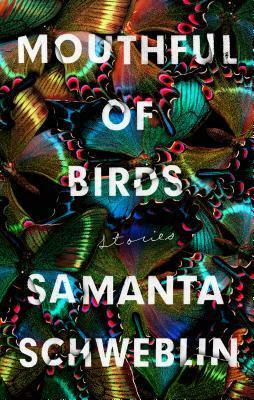 Let us know what’s wrong with this preview of Mouthful of Birds by Samanta Schweblin. Schweblin's stories have the feel of a sleepless night, where every shadow and bump in the A powerful, eerily unsettling story collection from a major international literary star. To ask other readers questions about Mouthful of Birds, please sign up. An unsettling, disturbing set of short stories. Schweblin creates relatable characters with effortless brushes of words only to destroy them by pushing them beyond the borders of humanity. The characters become eeire, inhuman, making some of these stories stink with psychological horror. Schweblin is a bit of a literary Salvador Dali- taking people and events, bestowing them new forms and dimensions. I found these stories so refreshing, puzzling and mesmerising. They made my mind work, made me shi An unsettling, disturbing set of short stories. Schweblin creates relatable characters with effortless brushes of words only to destroy them by pushing them beyond the borders of humanity. The characters become eeire, inhuman, making some of these stories stink with psychological horror. I found these stories so refreshing, puzzling and mesmerising. They made my mind work, made me shiver, think, filled me with emotions. This is a bumpy collection of short stories. Many of them feel unfinished or inconsequential. The most enjoyable are the ones with an element of horror, where there's something decidedly off about the characters and the final lines leave one shuddering and discomfited. Specifically: "Headlights," "Preserves," "Butterflies," "The Test," "Heads Against Concrete," and, to a lesser extent, "Mouthful of Birds" and "On the Steppe." With her back to us, standing on her tiptoes, she opened the cage and took out the bird. I couldn't see what she did. The bird screeched and she struggled a moment, maybe because it was trying to escape. Sylvia covered her mouth with her hand. When Sara turned back to us, the bird wasn't there anymore. Her mouth, nose, chin and both hands were smeared with blood. She smiled sheepishly. Samanta Schweblin probablemente sea la escritora argentina del momento. Antes de este, había leído Distancia de rescate, novela corta que me sirvió para descubrir qué clase de autora estaba leyendo. Como aquel me gustó mucho, no podía postergar más la lectura de sus cuentos, de los cuales había leído numerosas críticas favorables rondando por todos lados. Ahora, con el libro ya acabado, puedo decir que Schweblin no solo es una escritora ambiciosa e imaginativa, sino que es un experta en el manej Samanta Schweblin probablemente sea la escritora argentina del momento. Antes de este, había leído Distancia de rescate, novela corta que me sirvió para descubrir qué clase de autora estaba leyendo. Como aquel me gustó mucho, no podía postergar más la lectura de sus cuentos, de los cuales había leído numerosas críticas favorables rondando por todos lados. Ahora, con el libro ya acabado, puedo decir que Schweblin no solo es una escritora ambiciosa e imaginativa, sino que es un experta en el manejo de la psicología humana. Estos relatos, la gran mayoría breves, me dejaron perplejo. Hacía mucho tiempo que no me topaba con una antología tan bien elaborada, mostrando en cada oración una calidad que casi no varía. Es muy difícil decir cuáles de sus cuentos no me gustaron, puesto que todos tuvieron algo especial para darme, con una manipulación del absurdo y el humor que, como diría Wallace, «me erizaron el vello de partes del cuerpo que no tienen vello». «Perdiendo velocidad»: El más corto de la antología pero no por eso menos valioso. Con una utilización notable de la fantasía y el realismo, su poca extensión la considero clave para lograr el efecto apropiado. «Cabezas contra el asfalto»: Mi favorito. Pocas veces me reí tanto leyendo un cuento. Además, considero que es el que está mejor escrito de este libro. Extraordinario de principio a fin. Solo léanlo para saber a qué me refiero. «Hacia la alegre civilización»: Al principio no lo venía entendiendo; no sabía a qué iba y me resultaba un tanto aburrido. No obstante, a partir de la segunda mitad Schweblin empezó a darme respuestas y hacia el final ya lo estaba disfrutando al máximo. Su inicio lento valió muchísimo la pena. «La pesada valija de Benavídes»: Absurdo a más no poder. Este, en mi opinión, trata un tema tan delicado como el límite del arte, así como también qué tan por encima este se encuentra de la moral, la ética y la ley. Divertido y perturbador. «Mi hermano Walter»: Otro relato muy corto. Este, al igual que otros, me gustó mucho debido a que se centra en la incertidumbre, en la falta de respuestas, lo que lleva al lector a aceptar las cosas como son y disfrutar del sinsentido. Como todos, también tiene su punta de humor. «Papá Noel duerme en casa»: Diría que es mi segundo favorito. Deprimente, gracioso e innovador. Este cuento es una joya desde su inicio hasta su conclusión, con un uso muy maduro de los tiempos y una exposición grandiosa de tragicomedia. Brillante e inolvidable. On sekiz öykü, on sekiz dünya ve on sekiz tarz. Belli ki Schweblin de vatandaşı Borges gibi denemeci ve derlemeci. Benavides'in Ağır Valizi adlı öykü günümüzün şiddet toplumuna ağır eleştiri var. Birey de yine sıkıntılı. Sorunu sadece kendi içiyle değil, ruhsal durumunu etkileyen toplum kuralları, gündelik hayat ile işi ile kurduğu ilişki (buna işsizliği de ekleyebiliriz), sistem ve yapılarla kurulan ya da kurulamayan ilişkiler. Tüm bu ilişkiler yumağı neticesinde bireye kalan depresyon, ruhsal bozukluklar (canlı kuş yiyen bile var), uykusuzluk, sosyopati. Özellikle depresyon sıkça işleniyor. Tarz dedik, mesela Muhafaza Edilenler'in depresyondaki kahramanı aslında biz okurlarla sağlıklı bir ilişki kuruyor. Bizimle mi veyahut yazı ile mi o da tartışılır. Translated again by McDowell, Mouthful of Birds: Stories was, per the copyright page 'originally published, in Spanish and in somewhat different form, as Pájaros en la boca by Random House Mondadori, 2010', and hence an earlier work originally. The book consists of 20 short stories, averaging 12 pages each, although varying in length. The fantastic occupies the duration of this uncertainty. Once we choose one answer or the other, we leave the fantastic for a neighbouring genre, the uncanny or the marvellous. The fantastic is that hesitation experienced by a person who knows only the laws of nature, confronting an apparently supernatural event. The stories in Mouthful of Birds occupy similar territory, although the emphasis is a little less on supernatural elements, and more on strange situations and behaviour. In the flat darkness of the countryside, there is only disappointment, a wedding dress, and a bathroom she shouldn’t have taken so long in. Just married, she stopped for a toilet break, only to find, when she had finished at her new husband had, without any warning, driven off without her. “Look,” says Nené, “I’ll make this short because there’s really not much to it.” She steps on the cigarette, emphasizing the words: “They get tired of waiting and they leave you. It seems waiting wears them out.” Felicity carefully follows the movement of a new cigarette toward the woman’s mouth, the smoke that blends with the darkness, the lips that press the cigarette. “So the girls cry and wait for them . . .” Nené goes on , “and they wait . . .
A week passes, a month, and we gradually start accepting that Teresita will be here ahead of all our plans. The female narrator finds that her pregnancy is progressing faster than she and her husband had planned for - he had nothing against our little Teresita - what could he have against her? It's just that there was so much to do before she came. I thought about how, considering there are people who eat people, eating live birds wasn’t so bad. Also, from a natural point of view it was healthier than drugs, and from a social one, it was easier to hide than a pregnancy at thirteen. But I’m pretty sure that until I reached for the car-door handle I went on thinking, She eats birds, she eats birds, she eats birds, on and on. But as he has to take responsibility for her diet: I left early for work and endured the hours searching the internet for infinite combinations of words like bird, raw, cure, adoption,.. He has the notion that the dogs of the world are the result of men who have failed in their attempted journeys. Men nourished and retained with nothing but steaming broth, men whose hair grows long and whose ears droop and whose tails lengthen, a feeling of terror and cold inciting them to stay silent, curled up under some trainstation bench, contemplating the failures of the newcomer who is just like them only still has hope, staunchly awaiting the opportunity of a voyage. Overall, not as powerful as Fever Dream, and while there were very few duds in the collection, there were few absolute standouts either, indeed the collection, for better or worse, did seem to be Schweblin reworking a consistent theme. But still highly worthwhile and a 2019 Man Booker International contender [Update: now on the longlist - and fringe of shortlist material for me]. I was not a huge fan of Schweblin's first work to be translated into English, Fever Dream, but found it interesting enough to want to see what this second volume held. And although (standard disclaimer), I am also not a huge fan of short stories, most of these 'worked' for me, and none of the 20 contained herein are absolute duds (although I could have done without the animal abuse in 'The Test' :-( ) . Most of them are surreally creepy, kind of a hodgepodge of Poe and Kafka, and 3.5, rounded up. Uma boa parte de nós conhecerá " Twilight zone""; a antológica série da década de 60, criada por Rod Serling e que marcou inúmeras gerações daí em diante. Pequenas narrativas de curta duração ( 20 minutos?) Que nos colocavam tendencialmente num qualquer Universo paralelo, em situações habitualmente tensas, bizarras e inesperadas. O que se retirava de cada episódio estabelecia paralelo com o quotidiano "normal" de onde decorria uma mensagem messiânica, uma advertência do presente vindouro ou,na p Uma boa parte de nós conhecerá " Twilight zone""; a antológica série da década de 60, criada por Rod Serling e que marcou inúmeras gerações daí em diante. Pequenas narrativas de curta duração ( 20 minutos?) Que nos colocavam tendencialmente num qualquer Universo paralelo, em situações habitualmente tensas, bizarras e inesperadas. O que se retirava de cada episódio estabelecia paralelo com o quotidiano "normal" de onde decorria uma mensagem messiânica, uma advertência do presente vindouro ou,na pior das hipóteses,um chavão mais ou menos moralista. Aos " Pássaros na boca" aplica- se muito disto mesmo. A inquietude, a estranheza e a tensão estão lá. A gestão quase cinematográfica dos tempos narrativos é indesmentível. Que habilidade tem Samanta Schweblin para nos permitir parar no momento certo, integrar e depois avançar! Verdadeiramente impressionante. Mas aos " pássaros na boca" não se aplica uma boa parte do que se vive na " Twilight zone" - não se espere explicação ou corolário a cada estória. Pode presumir-se de algum simbolismo,mas a sensação que tive é que a autora escreve, essencialmente,de forma reactiva a inquietações pessoais,que depois trabalha com mestria - a mudança física e familiar da maternidade,a licitude da alimentação carnívora, a disfunção conjugal e a sua fragilidade, a vacuidade dos rituais iniciáticos. .
A maioria não conhecerá a faixa de abertura do primeiro álbum de Grinderman ( 2007). " Get it on" é uma música quase perfeita. Tensa, musculada e insinuante. Parece criar-se no limbo. Na eminência de romper, explodir, revelar. E, magnificamente,nunca o faz. Mantém-nos cativos nessa sensação do que está para vir. E no final,não falta nada.
" Pássaros na boca" talvez seja mais assim. Agradezco a la editorial Penguin Random House por el ejemplar. Hace un tiempo estaba viendo una entrevista en la que Mariana Enríquez recomendaba autores de Argentina que se acercan o escriben terror, y entre esos se encontraba Samanta Schweblin. Automáticamente me generó curiosidad y busqué más sobre la autora. Con "Pájaros en la boca" confirmé lo que sospechaba: su acercamiento al terror radica en lo inquietante, lo indecible y lo crudo en sus cuentos. Son historias retorcidas y crueles, con fi Agradezco a la editorial Penguin Random House por el ejemplar. Hace un tiempo estaba viendo una entrevista en la que Mariana Enríquez recomendaba autores de Argentina que se acercan o escriben terror, y entre esos se encontraba Samanta Schweblin. Automáticamente me generó curiosidad y busqué más sobre la autora. Con "Pájaros en la boca" confirmé lo que sospechaba: su acercamiento al terror radica en lo inquietante, lo indecible y lo crudo en sus cuentos. Son historias retorcidas y crueles, con finales mayormente abiertos que te sugestionan y te dejan pensando mucho, todos me gustaron mucho. The first story reads like Borges meets Carter, but none of the others matches it for atmosphere or creepy coherence. After the first three or so the level drops a fair bit, and but for the occasional moment thereafter (and a couple of stories simply didn’t work at all for me), like Fever Dream, it’s accomplished and very readable but good rather than great. Sospecho que buena parte de mi problema con este viene de que me lo recomendaron demasiado. Tal vez si hubiera venido con expectativas más bajas, me hubiera resultado un libro interesante, y sus fallas me hubieran parecido menos estridentes. Porque en general es un libro, digamos, correcto. Pero llegó como llegó, hiper-recomendado. No hace mucho, cierto amigo baterista insistía en que un disco que mantiene el mismo tempo en todos los temas es aburrimiento garantizado. Y algo de eso se me venía a l Sospecho que buena parte de mi problema con este viene de que me lo recomendaron demasiado. Tal vez si hubiera venido con expectativas más bajas, me hubiera resultado un libro interesante, y sus fallas me hubieran parecido menos estridentes. Porque en general es un libro, digamos, correcto. No hace mucho, cierto amigo baterista insistía en que un disco que mantiene el mismo tempo en todos los temas es aburrimiento garantizado. Y algo de eso se me venía a la mente cuando venía terminando el libro, vi que me faltaban cuatro cuentos, y en lugar del vértigo de las lecturas que te marcan, sobrevino el fastidio de "por favor, esto no se termina más": todos los relatos presentan pequeñas situaciones fragmentarias hechas para ser sugerentes. Algunas son buenas ideas. Algunas, incluso, son ideas excelentes. Pero el tempo es el mismo. A solid collection of eerie, horror-inflected stories, some very short, only a couple of pages. There’s a Twilight Zone or even Edgar Allan Poe kind of vibe to each of them, but very much updated for modern times. These stories are nowhere near as trippy and confounding as Schweblin’s novella, Fever Dream, which could be a plus or a minus depending on how you felt about that book. For me, it’s very much a plus. I enjoyed Fever Dream well enough, but I remember thinking it would work better as a A solid collection of eerie, horror-inflected stories, some very short, only a couple of pages. There’s a Twilight Zone or even Edgar Allan Poe kind of vibe to each of them, but very much updated for modern times. These stories are nowhere near as trippy and confounding as Schweblin’s novella, Fever Dream, which could be a plus or a minus depending on how you felt about that book. For me, it’s very much a plus. I enjoyed Fever Dream well enough, but I remember thinking it would work better as a short story and Mouthful of Birds has confirmed my suspicion that Schweblin and the short form are made for each other. There isn’t anything particularly splashy or ‘wtf was that?’ here, and Fever Dream fans may be disappointed, but I think these are stories that get better the more you think about them. Not to mention the translation is flawless. 3.5 stars, rounded up. While I liked the taut, evocative writing and the gorgeous cover, the stories themselves often felt empty to me. These stories are absurd and sometimes horrific, but horror and absurdity alone are not enough for me. There are some really great stories here, but not enough to make up for the more so-so ones. [3.5] Reasonable collection of unsettling stories, with a handful of interesting pieces, but not amazing. I've not read Fever Dream, but have been thinking about possible comparisons with other Latin American-Spanish authors, such as classic Mexican literary-horror writer Amparo Davila, whom I first heard of through the hommage The Iliac Crest, and recently I read one short story by Horacio Quiroga. Perhaps someone who has read more of these authors can comment how much Schweblin owes to them (a [3.5] Reasonable collection of unsettling stories, with a handful of interesting pieces, but not amazing. Like other readers who've posted in this group discussion thread, I thought Mouthful of Birds had too many brief stories without a strong point, or which were reliant on almost formulaic twists, but there are a few standouts. There are also recurring themes, and some stories may be more resonant with readers who care for those. Headlights. One of several stories that seemed like it was going somewhere interesting - it had the air of a myth-retelling, except perhaps the author invented the 'myth'. Then, although it did go through a couple of twists, it ended before it felt finished. Still, in retrospect, one of the stronger stories. Butterflies. This was so much less horrory than I expected from the blurbs on a couple of editions. (But it also has stuff about parenthood and might be more horrory for parents.) If, for some reason, you want better weird literary horror involving butterflies, read Blinding Vol. 1 by Mircea Cărtărescu. Santa Claus Sleeps at Our House. Tale of an 80s childhood: wanting a remote control car; parents rowing a lot. (Their paramours made me think of the early Adrian Mole books.) First story of two about near-inert characters marooned in deep melancholic depression. Daft musing: did being called Samanta lead to dwelling on, or noticing, the word Santa more than the average kid? The Digger. I imagined the Digger as Ted from the Fast Show Ted and Ralph sketches. This one connects with another, later, story about the sinister digging of holes in the ground. Irman. Found this a bit pointless, although it is part of a theme of highlighting macho culture. A portrait of a thug through the eyes of his mate who tries, ineffectually, to rein him in a bit. Shows stronger men despising smaller men. The Test. More thuggishness, and somewhat similar on a theme of violent men's making standards for other men to live up to. Second story to contain major scenes of animal cruelty. Toward Happy Civilization. Seems to be a favourite with several others who've read this, and it is one of the more substantial. I felt like it was based on something I'd read before, a long time ago (just made to be about commuters and a station instead) - or is this situation of people being trapped somewhere they are well looked after a type of fairytale in the Aarne–Thompson classification system? Seems like it's saying something about the experience of office work and commuting - the monotony whereby it seems as if one's whole life is spent waiting or on a train or in an office, and the wish that one could get away to a more rural setting. Olingiris. Still not sure what it's *for*, but I liked it. I liked the way two of its characters were given detailed backstories (this satisfied what was lacking in many of the other stories). The dovetailed motifs of fishermen and fish. And the way the assistant remembers her private tutor with affection, and is now living in less prosperous circumstances than is usual for someone with that upbringing. The idea of the women paying to pluck hair - as well as an economic reversal of that of beauticians and customers - seems to reference the contemporary internet cult of blackhead and spot squeezing. Also nice observations of small rituals such as putting plucked hairs on towels, and the way high-quality salons remove used textiles in an almost hospital-like manner. My Brother Walter. Second story about a near-inert character with severe melancholic depression. He sits in silent contrast with the cheery, prosperous commercialism of the narrator and other characters, who are much like the sort of entrepreneurs who receive idealised profiles in the press. The Merman. Mermen seem to be a trend at the moment - see also The Pisces. Although this story may be years old. (I haven't checked when it first appeared in Spanish - not all of the stories in the English edition of Mouthful of Birds appeared in Pajaros en la Boca.) The story distils the emotional rollercoaster of an archetypal teenage holiday romance into a few minutes. It also (again) illustrates machismo, this time in the shape of a man controlling his sister, and in her interaction with an apparently attractive man who, to the reader with more life experience, displays signs of macho attitudes himself. Rage of Pestilence. This scenario deeply appealed to me. A lone government outreach worker arrives at a run down, possibly deserted village. I could read a whole novel starting from that premise. The story is very brief and impressionistic. Are they ghosts? One can't be sure, and that's part of the appeal. I read it three times to try and find a clearer answer. Heads Against Concrete. One of the most controversial stories, and one with perhaps the most to analyse - although the last story, 'The Heavy Suitcase of Benavides', uses a similar theme. 'Heads Against Concrete' is about the artist as monster, about psychopathology channelled and diffused into art, and the lionising of male artists who were/are also (by contemporary standards) criminals and abusers, or whose work is full of abusive heroes. It uses the Modest Proposal strategy of satire by exaggeration of reality. (And which runs the risk of criticism for replicating the values it attacks.) A man with obsessive violent tendencies paints repetitive pictures of imagined victims and manages to partially control his physical outbursts by putting them on canvas instead. He is hugely acclaimed, although he seems to be minimally creative. I thought back to two conflicting opinions about school shooters which each got heavy coverage a couple of years ago: they did it because of their psychopathology *or* because of prejudiced messages in society that can appeal to disillusioned young white men. A better idea may be that it's an *interaction* between these: yes, the culprits are disturbed, but the things on which, and the way in which, they focus their violence, is because of what they have heard. NB story contains detailed scenes of racist violence from perpetrator POV. The Size of Things. Another one that felt like a modified, updated fairytale. A toyshop owner gives refuge to a local manchild who has walked out of his mother's home. At first, the manchild is surprisingly helpful, and boosts sales, but it won't always be that way. Is this about repercussions of unmarried men living with their mothers/parents throughout early adulthood, as is common in Latin cultures? Underground. At last (?) a fairytale I recognised (can't be sure which of the others were based on folktales). Pied Piper variation as old miner's barfly story. Slowing Down. I don't really see the point of this very short story about a retired circus artist. It makes a commonplace observation and then it takes its protagonist literally, as if that were a twist. On the Steppe. This story grated on me, as my least-favourite type of social gathering has always been the small group made up exclusively of straight couples, with the heavily gendered expectations that are typically part of it. Job interviews? The second time I had a tooth extracted? All preferable. (The first tooth extraction was very horrible indeed.) But none of that is the story's fault. It seems to be basically another piece where the subtext is the anxieties of expectant parents, or people who are thinking seriously about becoming parents, and/or perhaps fertility treatment. As a result of the title I learned that there is steppe in Argentina - in Patagonia - it is not an odd translation of pampas, as I first assumed. A Great Effort. The storyline is basically a case study for a psychotherapy textbook. The narrator's problems are not horrendous, although what transpires just after he left home would have given most people a complex. Interesting mostly because of the way the story recognises the involvement of the physical body in psychological upsets: if you want to hear more about this, The Body Remembers by Babette Rothschild is both excellent and accessible. The therapist is much better than the one in the following and final story, but neither is great at professional boundaries - in both cases they instantly see clients who've turned up on the doorstep outside booked appointment times. The Heavy Suitcase of Benavides. Similar to 'Heads Against Concrete' except this time high falutin' men of culture treat a violent middle-class criminal as a great artist - it's important that short and nerdy of course, not athletic. This is work that it takes men of great intellect to appreciate (plus they'll relate more because he's nerdy) - and it's no accident that the narrative says men. As well as obviously commenting on the countless examples of misogynistic art considered great art, this story seemed on a level with the recent spate of articles decrying the new glamour around true crime. A mixed bag (hardly unusual for a short story collection). The strongest pieces either had more substantial story to them or had plenty to dig into thematically. A few too many stories had neither. The feeling of reading fairytale retellings - although the stories themselves may have been novel - was one of the most effective atmospherics in the collection. Antonomasia Cheers. Opinions seem to be mixed as to whether this is as good as Fever Dream; will be interesting to see what you think. I read Samanta Schweblin’s book Fever Dream when it was listed for the Man Booker International in 2017. It was a stand out book because it was so beautifully creepy and very unsettling. It meant that I approached this book slightly nervously: was this going to lead to another couple of disturbed nights’ sleep with weird dreams. Unfortunately, it turns out I didn’t really need to worry. There are some strange stories here, but nothing with the creep-factor of Fever Dream. We start (Headlights) wit I read Samanta Schweblin’s book Fever Dream when it was listed for the Man Booker International in 2017. It was a stand out book because it was so beautifully creepy and very unsettling. It meant that I approached this book slightly nervously: was this going to lead to another couple of disturbed nights’ sleep with weird dreams. We start (Headlights) with a woman deserted at a roadside as her new husband drives off when she gets out for a comfort break. Then she discovers she isn’t the only one and there are many women in the same situation, some having been there for years. When a chance for escape comes, suddenly the horizon fills with returning headlights. It is more the surreal than the creepy that dominates the stories here. Toward Happy Civilization is a story with some similarities to Headlights where a man finds himself trapped at a railway station because he doesn’t have the right money to buy a ticket. Again, there is finally a chance for escape but things turn out to be rather weirder than imagined. All the stories have an element of the weird or the surreal. I found the first few stories to be the most unsettling and well-developed, but not long after the title story things start to feel a bit less powerful, a bit more like ideas rather than full stories. There aren’t any bad stories in the book: all of them are worth reading. But there isn’t anything that approaches atmosphere of Fever Dream which means that overall there is a slight feeling of disappointment at the end. mouthful of birds (pájaros en la boca) comprises twenty stories from samanta schweblin's 2009 collection (which, in the original spanish, featured eighteen). schweblin, author of last year's haunting and unforgettable novel, fever dream , is among the distinguished company celebrated on the 2017 bogotá39 list of promising young spanish-language writers (ten years later, its 2007 forebear is a veritable who's who of latin american authors). born in argentina, but residing in germany, schweblin e mouthful of birds (pájaros en la boca) comprises twenty stories from samanta schweblin's 2009 collection (which, in the original spanish, featured eighteen). schweblin, author of last year's haunting and unforgettable novel, fever dream , is among the distinguished company celebrated on the 2017 bogotá39 list of promising young spanish-language writers (ten years later, its 2007 forebear is a veritable who's who of latin american authors). born in argentina, but residing in germany, schweblin excels at crafting eerie milieus, unsettling tales, and foreboding narratives. the stories contained within mouthful of birds explore dark impossibilities and other sinister imaginings. the tension which worked so well in lending fever dream its ominous flavor is present throughout, albeit it truncated form. nearly every one of schweblin's stories hums with dread or disbelief, but most of these tales could have benefited from a longer treatment, as the suspense builds, but never quite crescendos. nonetheless, schweblin is a most gifted writer and her macabre tales flirt sinsterly with magical realism, effortlessly blending the visceral and the bizarre. the collection's finest outings are "headlights," "preserves," the title story, "toward happy civilization," "heads against concrete," "the size of things," "underground," and "the heavy suitcase of benavides." if you pound a person's head against concrete—even if you're doing it only so they'll come to their senses—you will very likely end up hurting them. this is something my mother explained to me early on, the day i pounded fredo's head on the asphalt of the school playground. En una analogía con el boxeo, Cortázar dice que, mientras la novela debe ganar por decisión, el cuento debe hacerlo por knockout. Eso es justo lo que ocurre con cada relato de Pájaros en la boca. Uno cae fulminado, choca contra el suelo (SU suelo) y debe volver a la esquina para recuperar el aliento y ver qué más tiene Shweblin para ofrecer. Con personajes sumamente erráticos, las historias aquí presentadas vienen de otro universo, otras costumbres, otra riqueza del valor narrativo. Lejos de sus En una analogía con el boxeo, Cortázar dice que, mientras la novela debe ganar por decisión, el cuento debe hacerlo por knockout. Eso es justo lo que ocurre con cada relato de Pájaros en la boca. Uno cae fulminado, choca contra el suelo (SU suelo) y debe volver a la esquina para recuperar el aliento y ver qué más tiene Shweblin para ofrecer. Con personajes sumamente erráticos, las historias aquí presentadas vienen de otro universo, otras costumbres, otra riqueza del valor narrativo. Lejos de sus finales contundentes, los cuentos de Shweblin ahogan de incertidumbre a todo aquél que se aferre a una superficie cada vez más falsa. No hay respuestas, tan sólo eventos inauditos, trucos mentales, venenos para la certeza. Acaso apoyados en el sistema del lenguaje que tampoco alcanza a entender qué pasa, los cuentos replantean lo ordinario con pie firme sobre baldosas desconocidas que raspan la callosidad de lo cotidiano, irrumpen el ensueño de la rutina, generan ópticas nuevas sólo porque sí. Sobre todo en el cuento de Cabezas contra el asfalto, una necesidad de estar enfadado con el mundo me tomó del cuello y me hizo ver que la realidad es del todo un gran defecto. Samanta Shweblin maquilla entonces ese defecto a base de asombro, sencillez y desvergüenza, en un mundo terrenal extraño para los propios personajes que no pertenecen, por ser tan limítrofes como el lector mismo. Like many people, I was fascinated by the surreal atmosphere and ambiguous meaning of Argentinian writer Samanta Schweblin's novel “Fever Dream” when it first appeared in English a couple of years ago. Now a collection of her short fiction has just been published and it's of a similar sinister vibe with odd twists of logic that often veer into near nightmares. Here are stories of children that transform into butterflies, businessmen who are turned into farm hands, a dissatisfied wife who meets a Like many people, I was fascinated by the surreal atmosphere and ambiguous meaning of Argentinian writer Samanta Schweblin's novel “Fever Dream” when it first appeared in English a couple of years ago. Now a collection of her short fiction has just been published and it's of a similar sinister vibe with odd twists of logic that often veer into near nightmares. Here are stories of children that transform into butterflies, businessmen who are turned into farm hands, a dissatisfied wife who meets an amorous merman and a daughter whose new diet consists solely of consuming living birds. This subject matter could easily feel whimsical if it were written by another author, but Schweblin maintains elements of psychological truth so this fiction continues to feel real even if it's filled with the fantastical. Her stories often feel like puzzles where the meaning is tantalizingly close and I could solve it if I could just work out the intricately constructed design she's skilfully created. But, of course, these stories offer no definitive answers – just glimpses of the inexpressible fears, desires and carnage which simmer just under the surface of our everyday reality. Samanta Schweblin (n. 1978) é uma jovem escritora argentina que publicou ”Pássaros na Boca” em 2009 reunindo dezoito contos. Todos os contos de ”Pássaros na Boca” transportam o leitor para mundos fantásticos e surreais, causando-nos simultaneamente estranheza e atracção, contendo incontáveis elementos de mistério; inúmeras histórias obscuras que muitas das vezes nos confundem, exigindo uma leitura atenta ou a releitura, com personagens invulgares e extravagantes, que através da conversação ou da aparência física nos inquietam cada vez mais. ”Pássaros na Boca” é uma excelente antologia de contos com uma temática comum e ambígua, juntando elementos misteriosos e bizarros, que acabam quase sempre por produzir e ampliar os sentimentos de medo e temor, numa narrativa excepcional e fragmentada de Samanta Schweblin; como num puzzle, o leitor é obrigado a encaixar, agrupar e a preencher os “espaços” em branco em cada um dos contos. Destaco seis contos: ”Mulheres Desesperadas”, ”Na Estepe, ”Matar um Cão”, ”A Medida das Coisas”, ”Conservas” e ”O Pai Natal Dorme em Casa”. I read six and a half stories from this collection of 20. I was unimpressed enough by those to feel fine about abandoning it. There's a common theme of high-concept stories that are nothing more – they introduce something weird or horrifying, and that's pretty much it. 'Butterflies' is particularly terrible; it reads like the first thing a beginner might come up with at a creative writing workshop. A few of the others, particularly the title story, have better development, but still don't feel l I read six and a half stories from this collection of 20. I was unimpressed enough by those to feel fine about abandoning it. There's a common theme of high-concept stories that are nothing more – they introduce something weird or horrifying, and that's pretty much it. 'Butterflies' is particularly terrible; it reads like the first thing a beginner might come up with at a creative writing workshop. A few of the others, particularly the title story, have better development, but still don't feel like anything more than a hollow concept. I did like Fever Dream but this was not for me. Julie The last story is super creepy. [4.5] First, a confession: I have not read Samanta Schweblin’s Man Booker International shortlisted and Tournament of Books winner Fever Dream. I have not read the book, not even though I had the privilege to hear Schweblin speak at a local literary event last summer. She was wonderful, and rather surprisingly I can still recall bits and pieces of the discussion. For one, she talked about the ways that each reader constructs different mental images of a sentence as simple as, say, “there were sh [4.5] First, a confession: I have not read Samanta Schweblin’s Man Booker International shortlisted and Tournament of Books winner Fever Dream. I have not read the book, not even though I had the privilege to hear Schweblin speak at a local literary event last summer. She was wonderful, and rather surprisingly I can still recall bits and pieces of the discussion. For one, she talked about the ways that each reader constructs different mental images of a sentence as simple as, say, “there were shoes on the bed.” So, while I still haven’t read the novel, at least I came to Mouthful of Birds, a collection of her short stories newly translated by Megan McDowell, with an impression of a very skilled author who can conjure vivid images in few words. I wasn’t let down. One specific issue I have with the collection is the way that animal violence is handled in “The Test.” I read Schweblin’s collection alongside with Rodrigo Fuentes’ Trout, Belly Up (another short story collection by a Latin American author published in English the same week), and the latter has a similar kind of scene where I questioned the necessity of violence. Perhaps in Fuentes’ book it drives home a point about the cruel sociopolitical conditions in rural Guatemala, but in Schweblin’s hallucinogenic, wondrous storyworlds I found it an unnecessary addition. She has such a repertoire of nightmarish elements to work with that the story could do, in my opinion, without the spades and dogs. But it’s possible that Schweblin addresses a real-life issue here too since she gives a specific location, Buenos Aires. Samanta Schweblin has almost become a household name. Her novella Fever Dreams has been one of the most talked about books in translation in recent years. It won so many awards, including the Shirley Jackson Award (2017), The Tournament of Books (2018), it made the Man Booker International Prize shortlist (2017) and the Warwick Prize for Women in Translation longlist (2017). Needless to say, when it was announced Mouthful of Birds was getting an English translation there was plenty of buzz surro Samanta Schweblin has almost become a household name. Her novella Fever Dreams has been one of the most talked about books in translation in recent years. It won so many awards, including the Shirley Jackson Award (2017), The Tournament of Books (2018), it made the Man Booker International Prize shortlist (2017) and the Warwick Prize for Women in Translation longlist (2017). Needless to say, when it was announced Mouthful of Birds was getting an English translation there was plenty of buzz surrounding it. I first discovered Samanta Schweblin from the New York Review of Books podcast, they were talking about three Argentinean authors about to take the world by storm, Pola Oloixarac, Mariana Enríquez and Samanta Schweblin. Naturally I had to read the three books that came out around the same time. 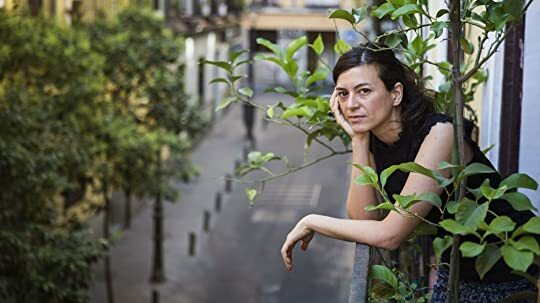 Random tangent, both Samanta Schweblin and Pola Oloixarac have books out this year, so where is the next Mariana Enríquez? Out of the three it was Fever Dreams that got all the attention, but for me Things We Lost In The Fire was the true highlight. I feel like the buzz now for Mouthful of Birds is just people projecting their love for Fever Dreams onto it. There is something rugged and unfinished about this collection of short stories that did not sit right with me. I think a truly great short story collection have the stories complements each other and often share an overarching theme. Take Things We Lost In The Fire by Mariana Enríquez (also translated by Megan McDowell) for example. Each story delivers a powerful punch and complement the collection as a whole. Now looking at Mouthful of Birds, it does not have that same feeling, it is just a group of stories anthologised for the purpose of publishing. I see so many people loving this book and it always seems to be referencing the same stories, like the one with the merman. My opinion is they liked the individual stories they reference but nothing is really said about the complete collection. I know what I like and fairytale retellings and mythological based stories are not for me, so this is the main reason Mouthful of Birds did not work for me. I know short story collections are hard to review as a whole collection, so people point out the stories they love. I prefer to read something where the stories all work together and offer so much more than a good tale. Mouthful of Birds will serve well for the readers interested in the whole creative process. This is a collection of her earlier short stories. There are fragments of ideas that are being explored in Mouthful of Birds that could blossom into future novels. I see elements of Fever Dreams taking form in this collection and get the feeling this collection was only published because of all the hype surrounding Samanta Schweblin. While this was not the book for me, I know many people will enjoy reading more from Schweblin. I personally recommend picking up Things We Lost In The Fire by Mariana Enríquez instead. Ağızdaki Kuşlar "İnsan önündeki sorunların kendinden kaynaklandığını ve mağlubiyetinde pay sahibi olduklarını keşfetmeyegörsün, her şey değişir." gibi harika açılış cümleleri ve kapanışlar barındırıyor. Schweblin'in kurduğu tekinsizlik O'Connor'u ya da Jackson'u andırıyor olsa da, tekinsizliği işleyiş biçimi daha samimi geldi bana. No creo que puedan ser calificados como cuentos de terror. Hay un par muy buenos: Cabezas contra el asfalto, Pájaros en la boca, Sueño de revolución, La pesada valija de Benavides, Conservas. Não há um conto melhor do que outro, todos são de uma qualidade extraordinária. Gostar mais de uns do que de outros é apenas gosto pessoal.